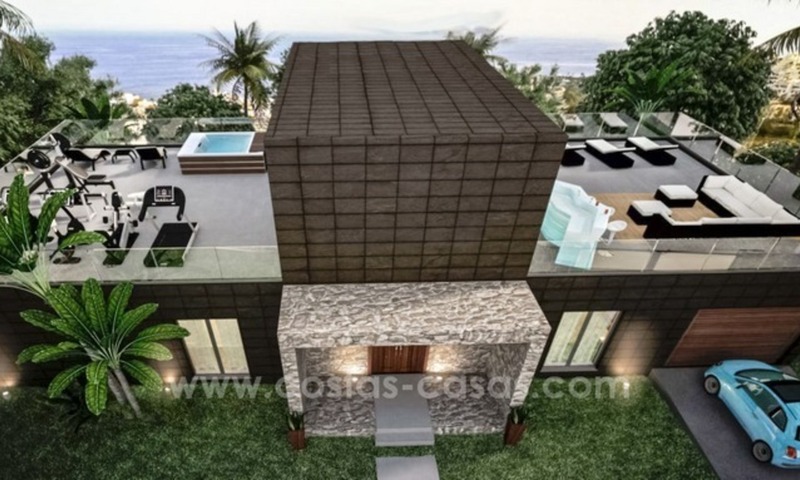 Detached modern new villa for sale, second line golf with unobstructed golf and sea views, Estepona. Every space and room in the villa has an open view of the golf course and its lake, the mountains and the Mediterranean Sea. Only a few minutes drive to Estepona center. Puerto Banus and Marbella are 20 to 25 minutes away by car. 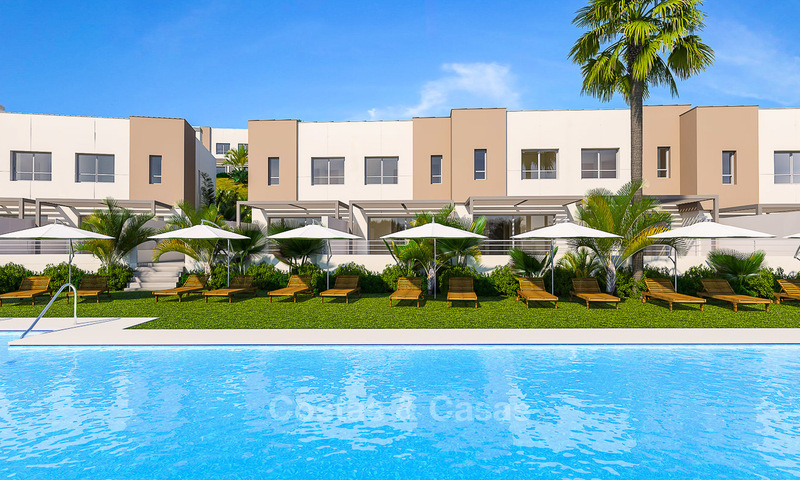 Uncovered (101m2) and covered terrace (54m2), large pool of 45m2. Spacious open plan living and dining room. Modern, fully fitted kitchen. Storage room and guest toilet. 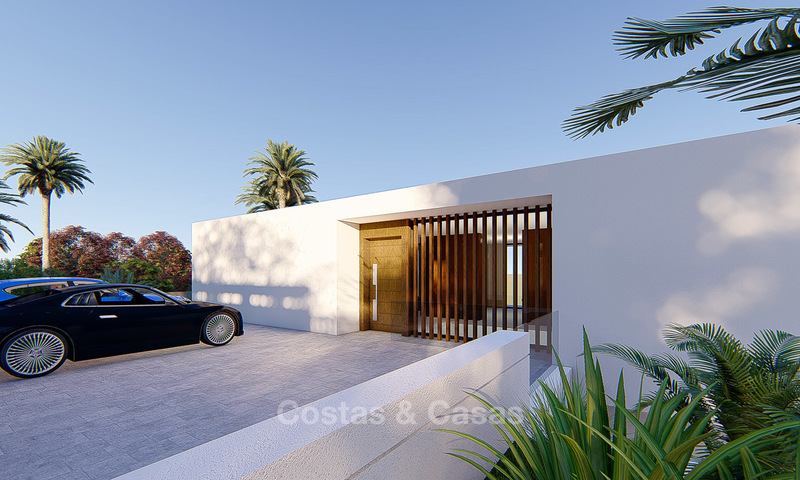 Optional lower ground floor of 153m2, which can be arranged according to personal wishes of the buyer. 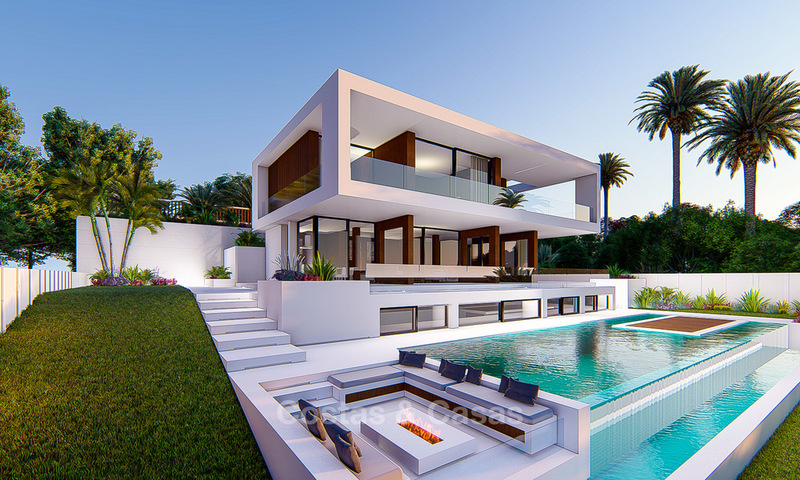 Built according to the latest techniques, high quality materials, luxurious finishes, design, environmentally friendly with low maintenance. Sliding windows, from floor to ceiling, in the living room. 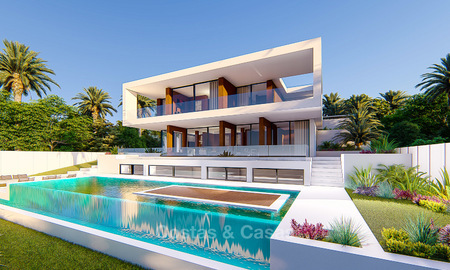 The villa is located on a plot of 758m2 adjacent to a golf course, just a few minutes drive from all amenities and the center and the marina of Estepona and the beaches. Exclusive residential complexes have been or will be built in the immediate vicinity. Alongside the beach is a new exclusive pedestrian promenade. 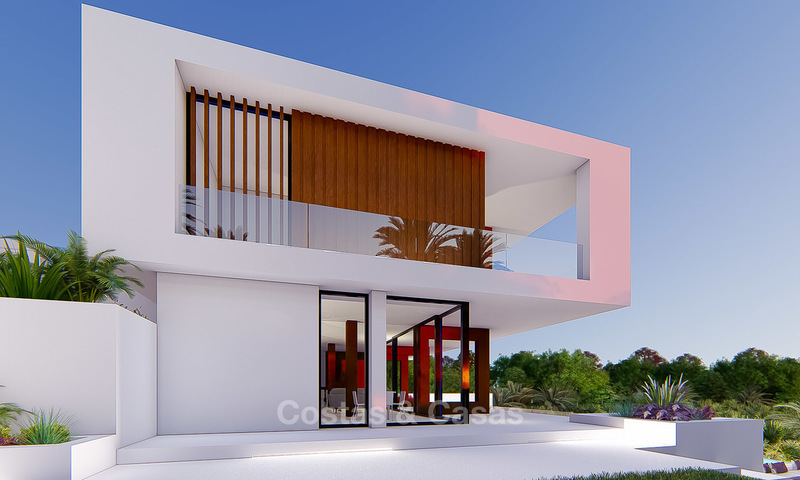 The entry price for this modern new villa is very competitive for this region of Marbella - Benahavis and Estepona. 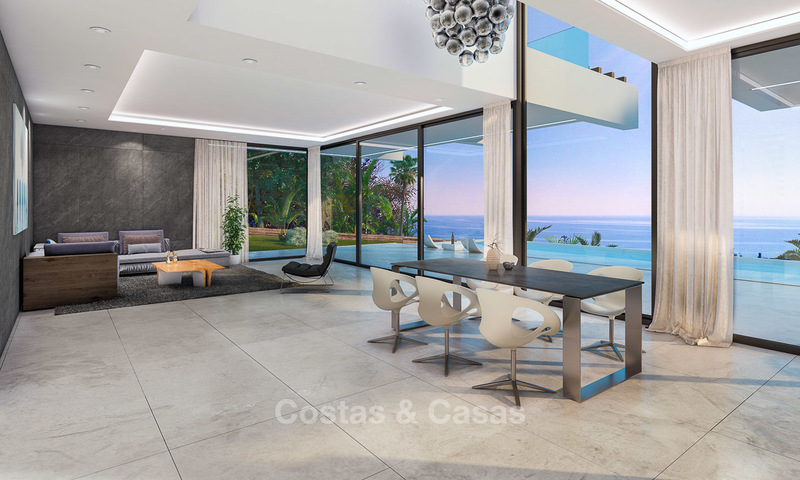 This is a unique opportunity to acquire a modern villa with stunning sea views at a low price. A quick viewing is therefore advised!